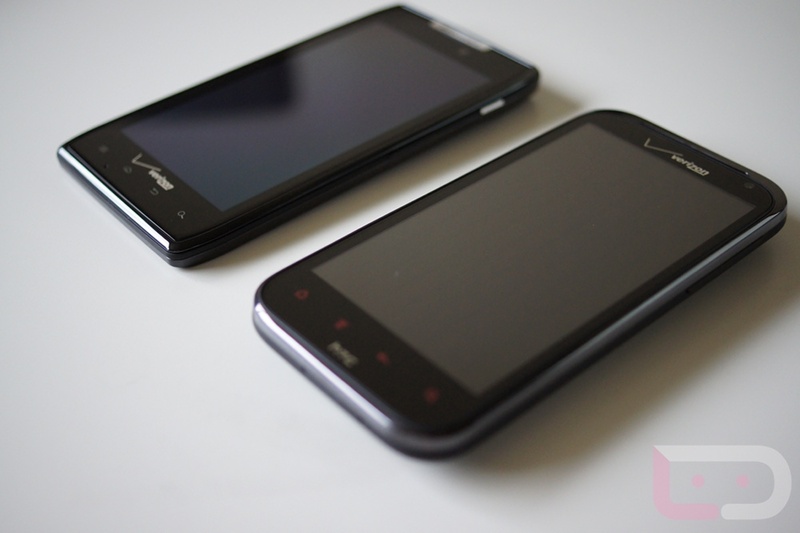 Two of the most anticipated Android devices in recent history showed up on my doorstep today – the HTC Rezound in all of its Beats glory and the DROID RAZR looking as thin and cutting edge as ever. The RAZR I had a chance to get down and dirty with a couple of weeks ago in NYC, but the Rezound was still new to my hands (not Dan’s though). 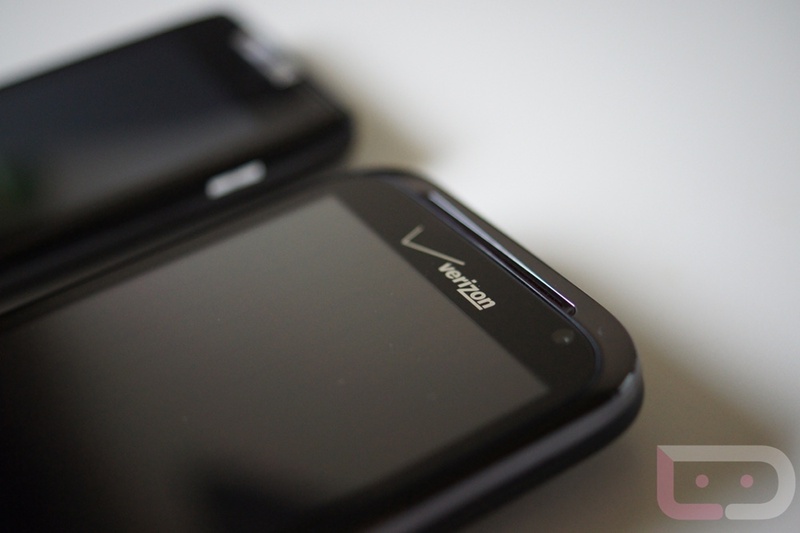 As two of the most impressive (at least on paper) phones to come to Verizon’s 4G LTE network, we have been dying to get some real intimate time with them. That time is now. For today, we just have a quick unboxing video for each, a simple gallery, and some initial thoughts. Our full reviews will likely be out some time next week, as we always try as hard as we can to avoid those 24-hour, quick hitting, blog overviews. We like to become one with a device, get to know it deeply, and then provide feedback to hopefully help you make your next 2-year decision. 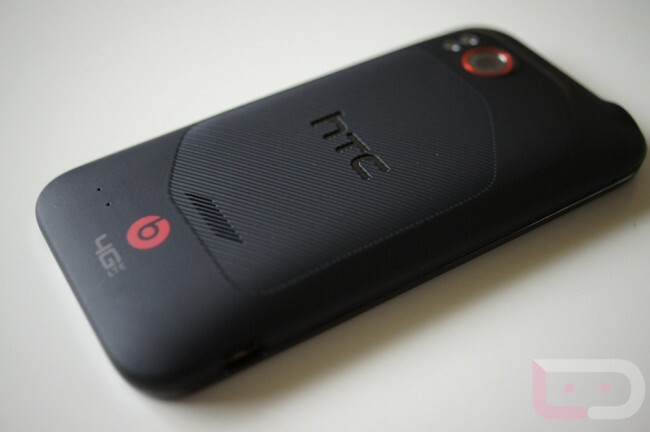 After popping the Rezound out of the box, you know right away that this is an HTC device. 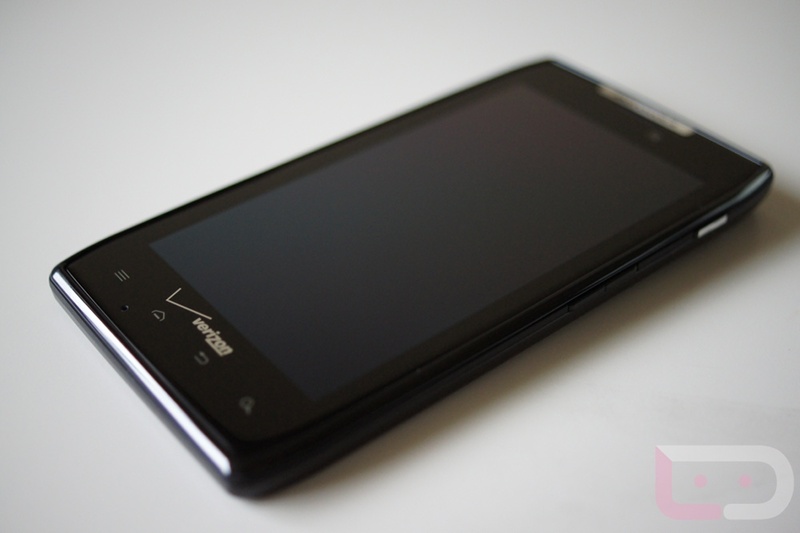 It’s buttery smooth, feels excellent in hand, and is made with nothing but the finest materials. 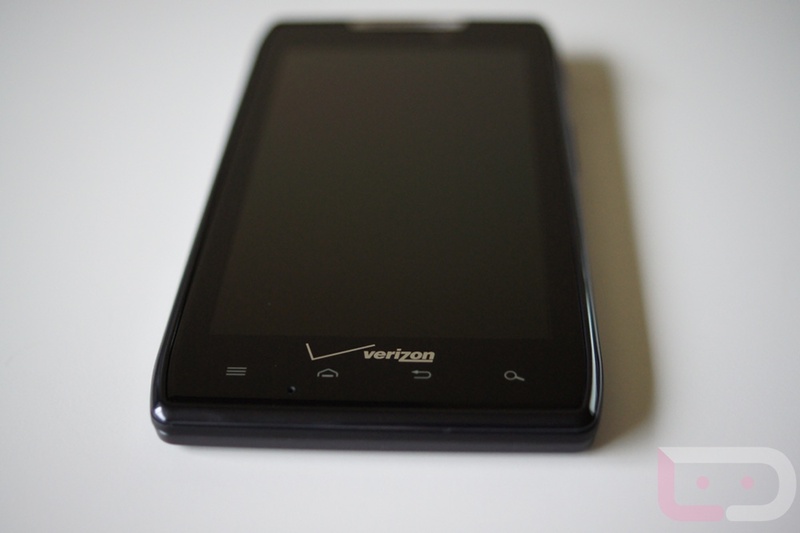 It has a little bit of weight to it, but almost any phone feels slightly heavy these days when you pair it up against the RAZR. 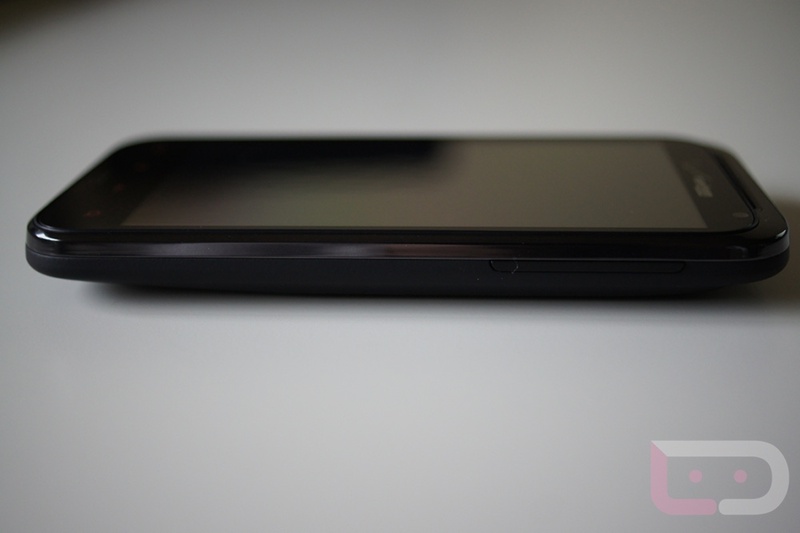 The 4.3″ HD Super LCD screen looks incredible. 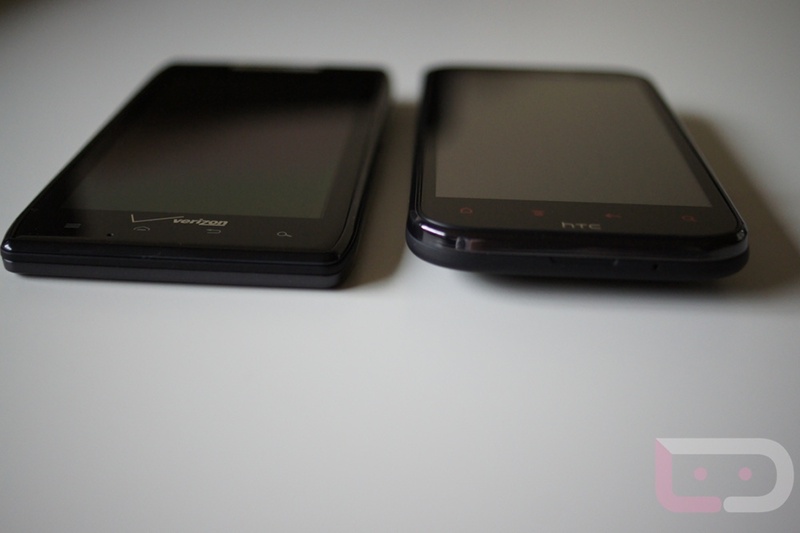 I sat for a few minutes comparing it to the RAZR’s Super AMOLED Advanced at full brightness, and prefer it so far. I have not had a chance to dive into Beats or other software at this time, but will do so over the next few days. Overall, I’m loving the build and am anxious to make this my sidekick for bit. 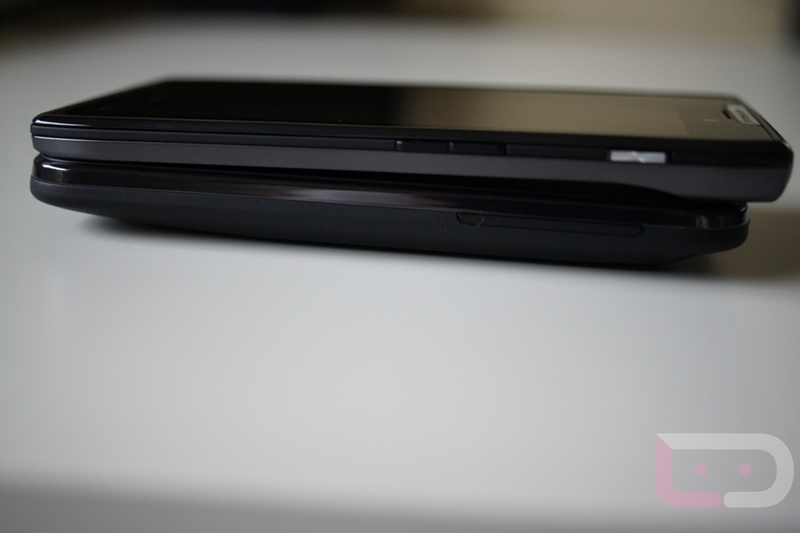 Let’s see how much pressure we can put on that tiny 1620mAh battery. 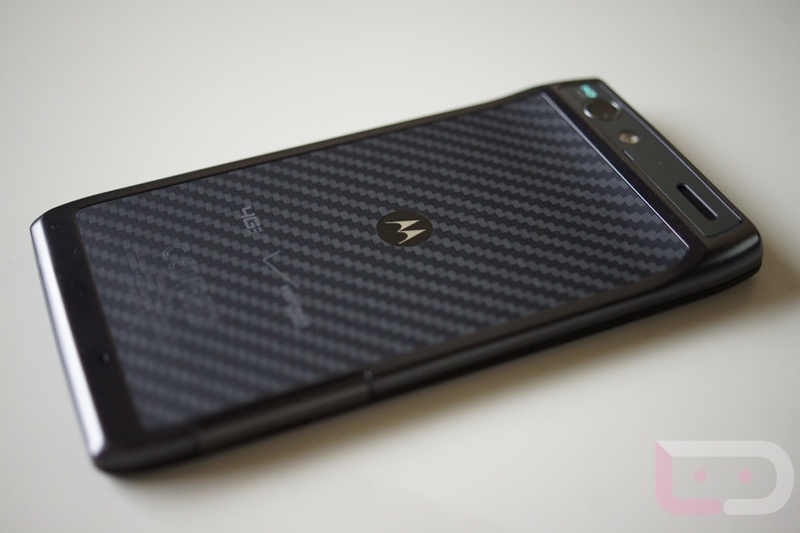 You sort of know my feelings on this phone if you read my hands-on reports, but I’ll say again that I really like what Motorola has done here. 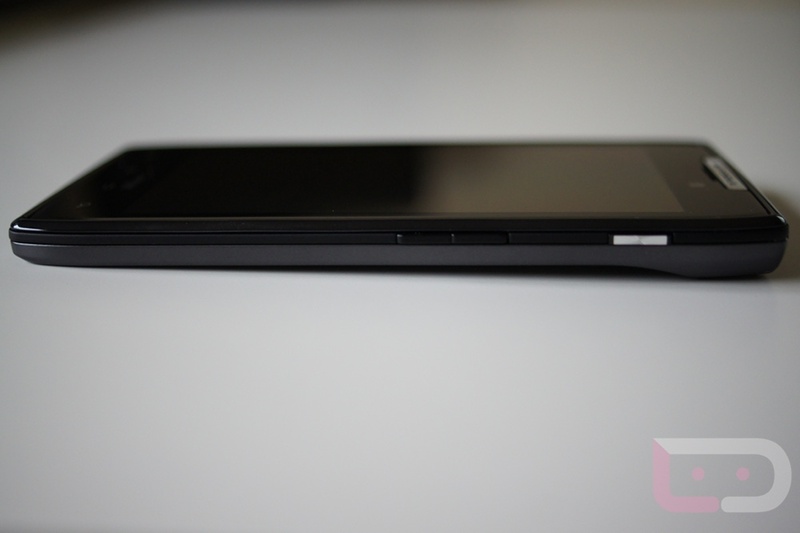 This phone is light as a feather, unbelievably thin, and as powerful as any phone on the market. 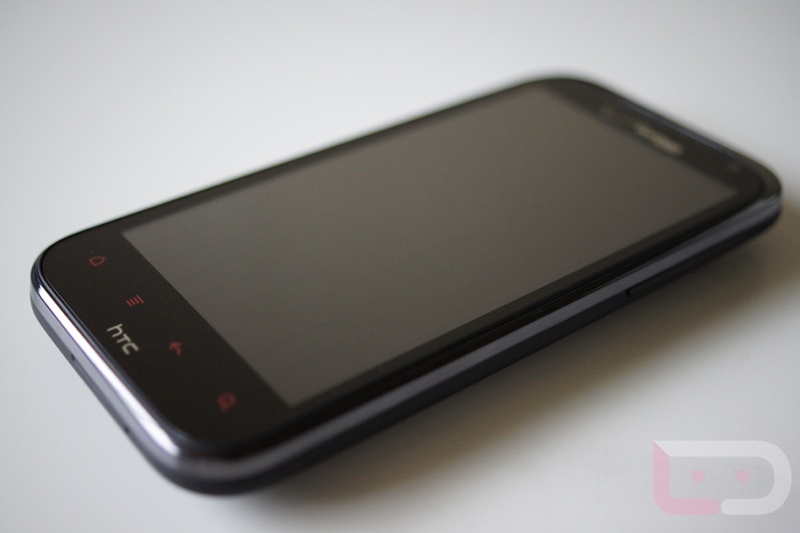 The screen may not match the HD resolution on the Rezound or Galaxy Nexus, but it’s at least a step up over their previous offerings, the Bionic and DROID 3. I pulled up the camera briefly in the video you’ll see and came out blown away by the speed. Picture quality is still to be determined, but this phone can snap quick pics with the best of them. 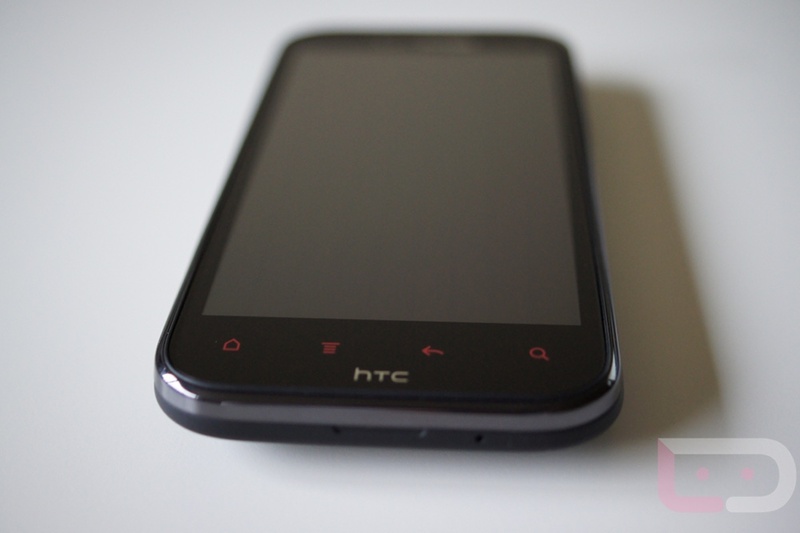 Also anxious to make this a pocket pal for the next few days to help you guys make that final decision when the Galaxy Nexus arrives. If there is anything in particular that you want me to test, be sure to drop it in the comments.